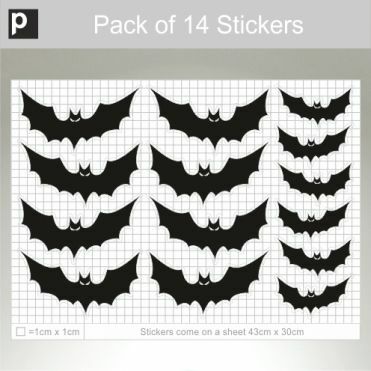 Several bat designs available as individual stickers, packs of stickers or borders. 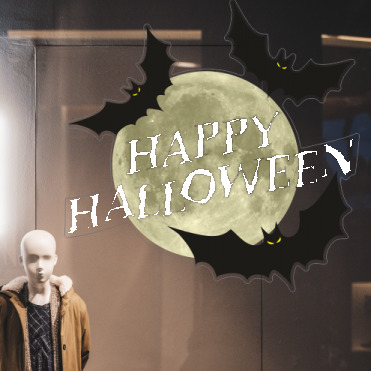 Ideal for your Halloween themed shop window displays. Very easy to apply and can be removed and re-used. 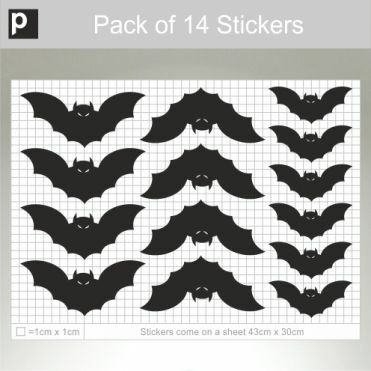 Pack of 14 bats stickers, printed in a choice of colours. 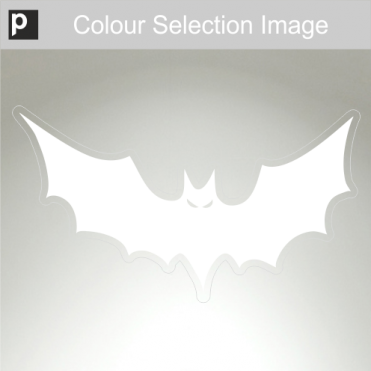 Border design available in different sizes. 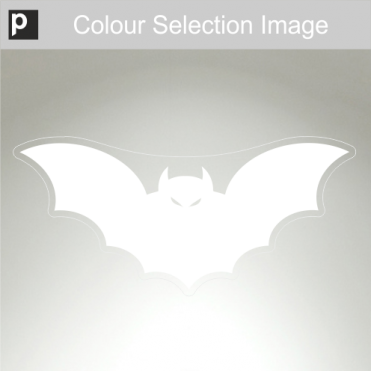 Large bat sticker, printed in a choice of colours and sizes. 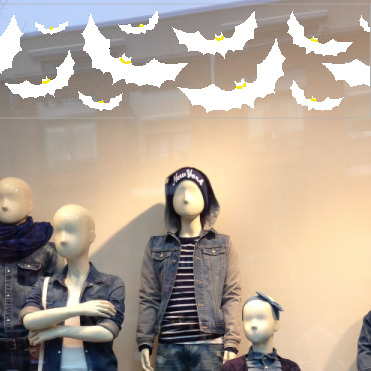 Select size, text colour and material. 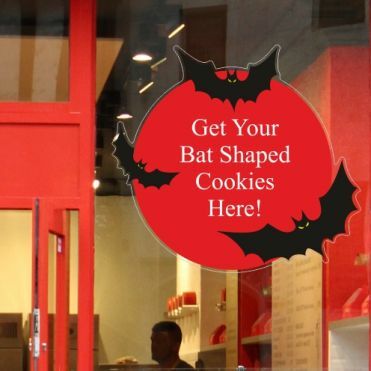 Design your own text based adhesive or self-cling sticker.